3 Million refugees in Twengea that Miristan and Praland refused to host, a late in the game reforestation project in Praland, and a robust collaboration between industry and government in Praland. These are just three of the highlights from running the Perspectivity Nexus! challenge on energy, water and food at the EPFL University in Lausanne on Wednesday 25 April. Herman van der Meyden went to facilitate. He used the Next Nexus! additions that we have developed in 2016 in collaboration with Luc Hoffman Institute/World Wild Fund for Nature. Perspectivity was invited by the International Risk Governance Council (IRGC), an offspin of EPFL university. The occasion was the visit of a delegation of the Beijing Academy of Sciences and Technology to Europe. Our challenge was used to showcase how serious gaming can be used to enhance people’s understanding of complex systems and their role in it. Ideas came to the fore in the debrief about potential applications for Nexus! in China and Russia. 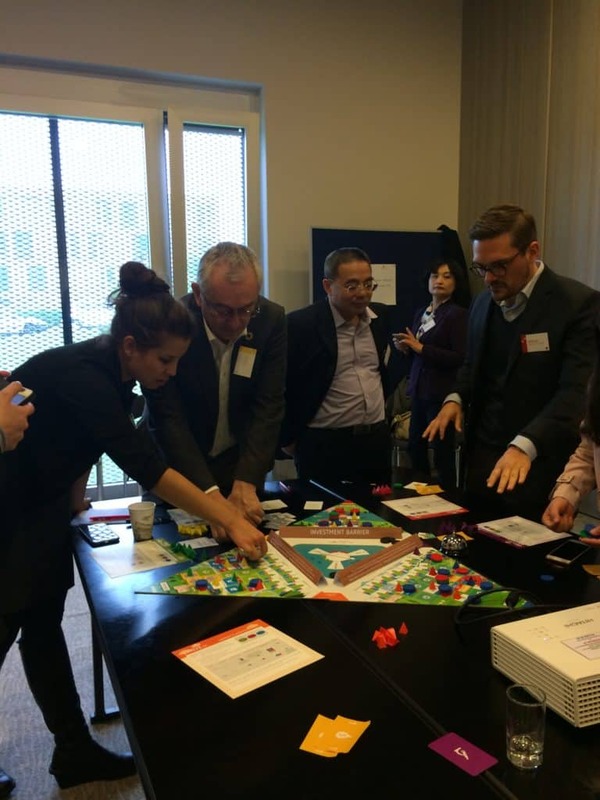 Another avenue that we will explore is to collaborate with IRGC and its partners around the creation of new board games to illustrate the challenge and dynamics around risk governance and circular economy, with the aim of raising awareness and interest for follow-up in-depth work.